Love, Mrs. Mommy: Google Home & Google Chromecast Bundle Giveaway! $165 RV! 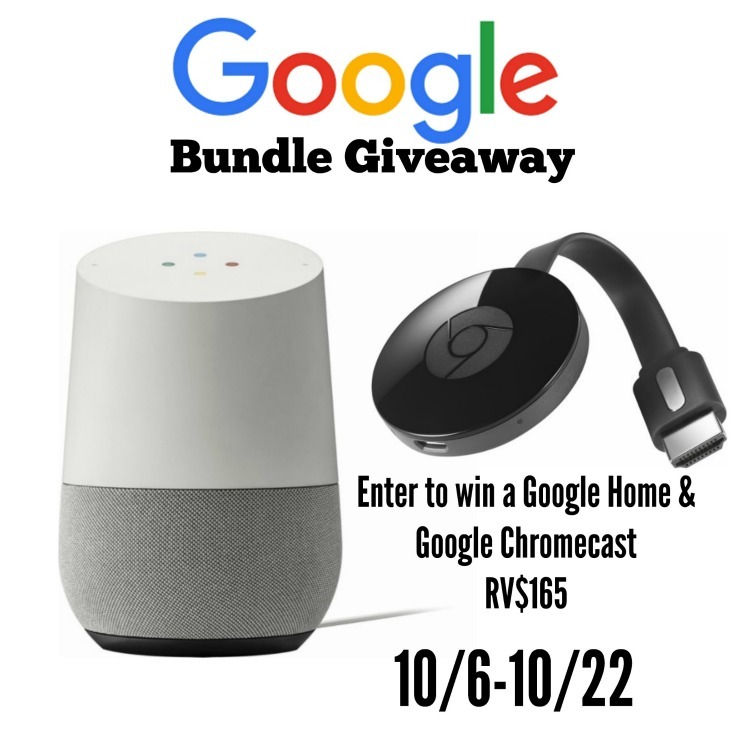 Google Home & Google Chromecast Bundle Giveaway! $165 RV! Google Home is powered by the Google assistant. Ask it questions. Tell it to do things. It’s your own personal Google, always ready to help. Just start by saying "Ok Google"
Get answers to things you want to know including the latest on weather, traffic, finance, sports, and more. Plus, get information to help you do things in your world. Ask "What is the nearest pharmacy?" and follow it up with "When does it close?" With a simple voice command, play your own personal playlists from popular services like Google Play Music, YouTube Music, and Spotify. Plus enjoy news, podcasts, and radio and get even more compatible audio services by streaming directly from your phone to Google Home. With your permission, Google Home will give you answers tailored to you for things like your commute, flight information and more. Plus it's a whiz at settling alarms, starting timers, and adding events to your google calendar. Google Home can distinguish your voice from others' for a more personalized experience. Get your own schedule, commute times, daily briefings, playlists, and more. It's completely free, there's nothing to set up, and no extra apps to download. (Calls to 911 or premium rate numbers are not supported on Google Home). 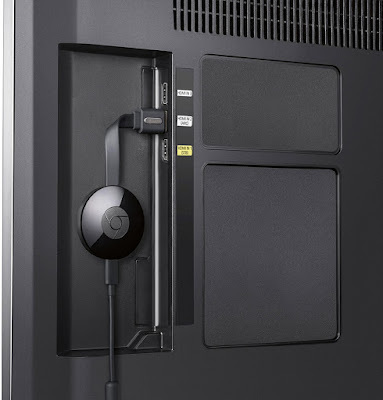 Cast from your phone, tablet or laptopPlug Chromecast into your HDTV via the HDMI interface, connect to your Wi-Fi network and cast from your Apple® iPhone® or iPad®, Android phone or tablet, Mac or Windows laptop or Chromebook. Mirror content on your TVIf you want to access an app that isn't Cast-enabled, you can display what's on your Android phone or your laptop's Chrome browser. 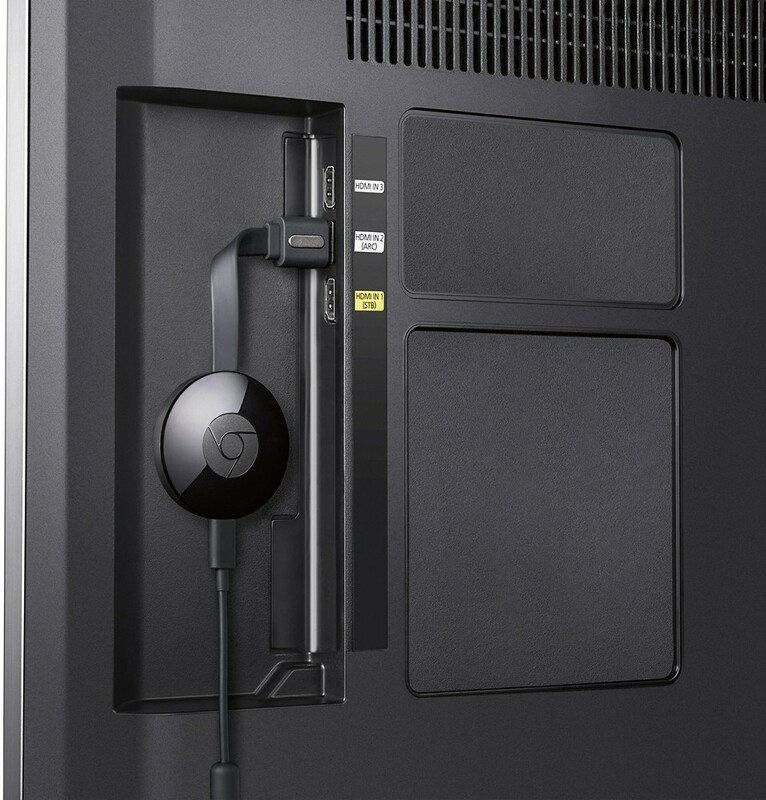 Enjoy high-quality video resolution and low bufferingA built-in adaptive antenna system combines with dual-band Wi-Fi architecture to promote optimal performance. Customize your TV screenYou can display personal pictures from Facebook or Flickr or professional photos from 500px or Getty Images. High-speed wireless connectivityBuilt-in 2.4GHz/5.0GHz 802.11ac Wi-Fi connects to the Internet through your wireless home network (wireless router required and sold separately). I like the hands free calling feature. I love that I can control compatible smart devices. I like asking questions while I am busy doing other things so I get an answer while I am thinking about it.